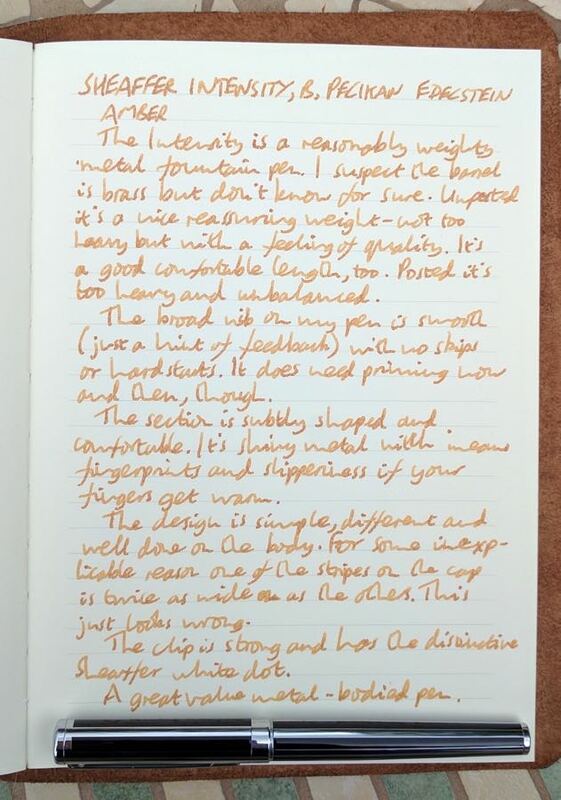 Sheaffer Intensity Fountain Pen Review – Pens! Paper! Pencils! I only bought the Sheaffer Intensity because it was on offer. 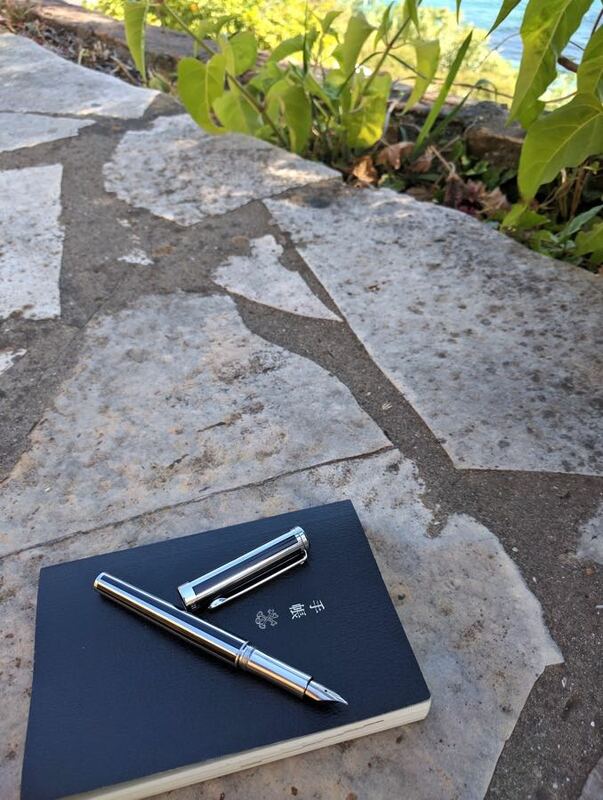 It turned out to be one of those lovely occasions when a pen exceeds your expectations. However, don’t jump to buy one just yet. 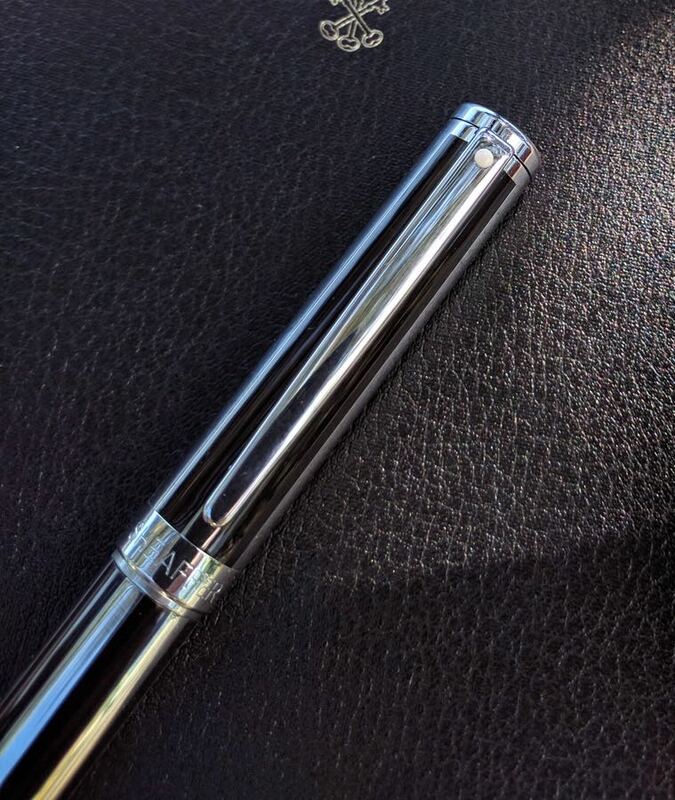 The Sheaffer Intensity is a metal pen. From the weight of it I’d guess it’s brass inside but the trim is chrome and the pattern is chrome and a black lacquer. 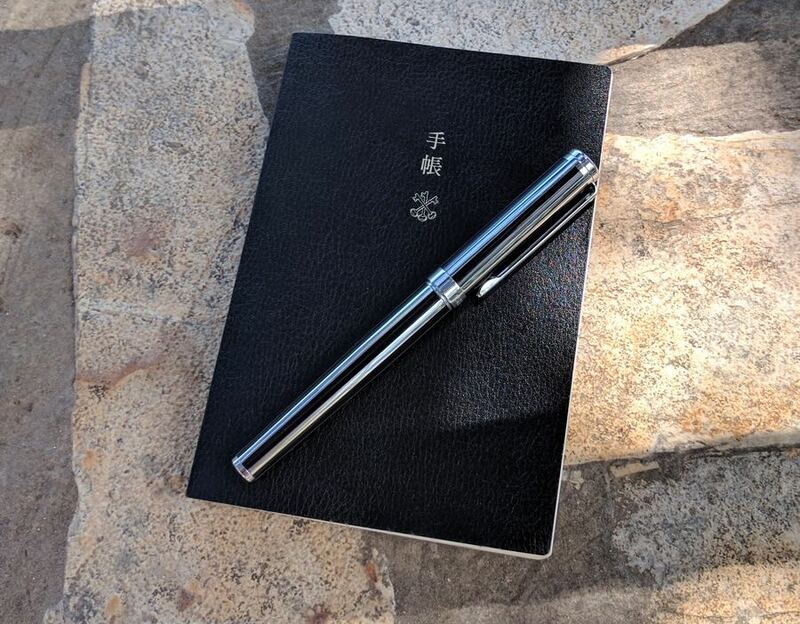 This means the pen has a reassuring weight to it without being tiring to use for long periods. The cap, which screws closed, does post (with a push) but posting completely unbalances the pen and makes it pretty much unusable. Do not post this pen. Fortunately its a good comfortable length unposted. The clip is quite strong and clippy and has the Sheaffer white dot on it. The section is shiny chrome and will provide a forensic record of every time your fingertips have touched it. It’s subtly contoured and comfortable to hold. If you have problems with metal sections being too slippery the shape might help you but is probably too gentle to make much difference. As I don’t in general have any issues with metal grips I can’t make any assertions about it one way or another. The Intensity uses Sheaffer’s own cartridges/converter. My pen came with a converter, which is about a standard size and has worked perfectly well so far. The stainless steel nib is quite plain with just Sheaffer and ‘B’ stamped on it. Aesthetically I don’t mind the simplicity but it’s quite short and it looks a bit odd. It’s a lovely nib on paper, just a touch of feedback (which I like) and good flow. 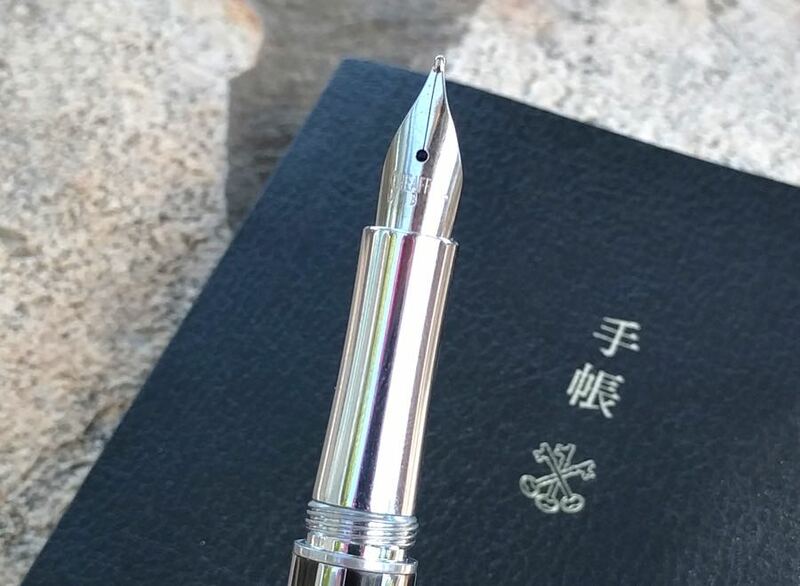 Broad nibs can sometimes give feeds a hard time in keeping up (looking at you, Kaweco) but this one is great. I really enjoy this pen. It feels good in the hand and has a good nib. The design is different and well done, except for the oddity of the double width stripe on the cap. However, I paid £13 for it. For that, I got a bargain. For twice that, this is a great pen. For £50, however, I’d be starting to be more bothered by the odd stripe on the cap, the top heaviness of the posted pen and short nib. 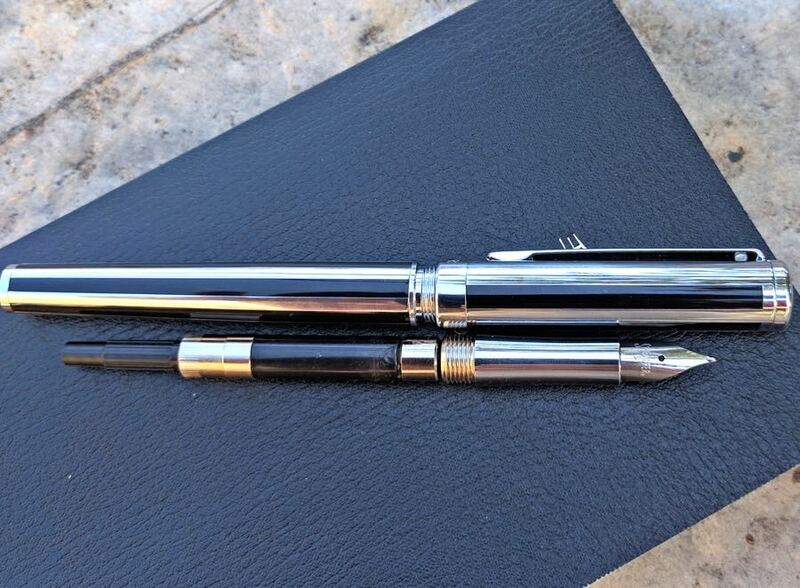 If you can find this pen on offer, I’d say it’s well worth a look. 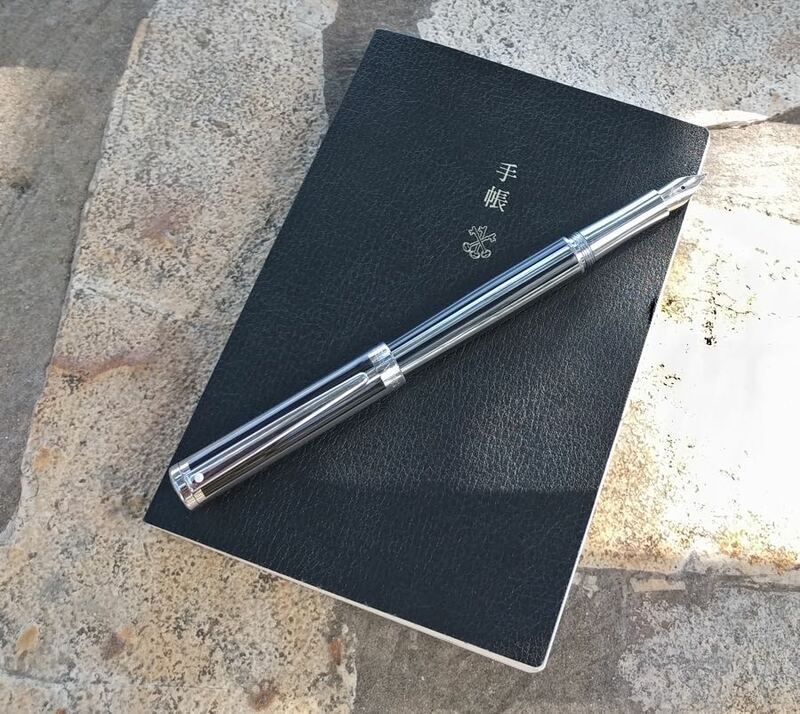 At full price, you ought to perhaps look at a Faber-Castell, a Kaweco or a TWSBI instead. Where did you find it for £13 Ian?? Cult Pens had it in their clearance section. My hands must be different, this pen is very well balanced. This is maybe the best steel nib Sheaffer I own.